Another song removed by stupid assholes! i guess i was correct. i can't believe Team Brazil have got a serial convict and someone that openly admits hating TB to both pull all of this monetized material off YT which costs the band large amounts of revenue. well done Fernando Lebeis, well done. OMG has been always in my top 10. I didn't like the audio quality at the time specially compared to other bands being in the soundtrack CD. But hey they wanted to include something new from GNR even if it's a demo! Though I know the label gave a serious deadline to Axl and he had been procrastinating till the last day and Sean Beavan had to spent in studio with Axl till morning for the final mix. I'm actually enjoying ImSorry's version a lot. A proper 2002ish version of CD in general with bucket on all the leads bumble was pasted over would be the holy grail, for me. I appreciate why Axl pasted BBF over the tracks because he wanted the most up to date line up possible on the album. Always liked OMG, definitely rivals anything on CD in my opinion. Cant help think that other CD songs (irs, if the world, sorry) were made with a harder edge in mind like OMG, however were changed due to the musical landscape changing. What is the version of imsorry? 1 gtr mix its around for over a decade i made an update mix recently more pollish. 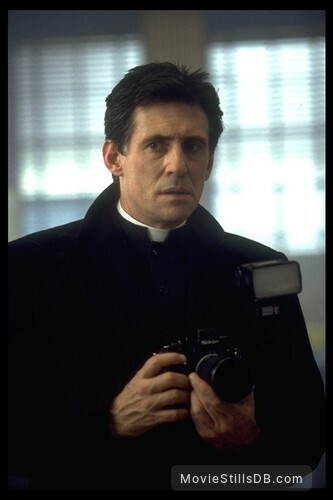 Interesting fact concerning End of Days: Gabriel Byrne has to be a great diverse actor. Prior to End of Days, the movie he starred in directly before it was called "Stigmata" and he played a Priest.....The very next movie he stars in, is End of Days, and he plays Satan. But OMG was much better than the movie it's featured in, for sure!! I always thought the casting of Gabriel Byrne in Stigmata was meant to evoke the casting of Jason Miller in The Exorcist. They look a lot alike, behave in similar fashion - they just have a lot in common. I even had a friend who was pretty well convinced that they were the same actor - saying nothing for the huge gap in age between the time of the two movies. Good mixes by the way - what’s the story behind them? How were they ‘created’? @fernomenoyde What version was pulled? Sounds interesting, would love to hear them. If you get a min I would also be interested in hearing these.